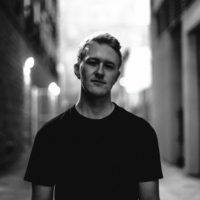 Effin: "@LuzcidMusic @peekaboobeats Sound is not real"
Rising bass music artist Effin combines explosive sound design with hard hittingdrums to deliver cutting edge production. After moving to LA and refining histechnical skills at the renowned Icon Collective, Effin has continued to churn outhigh quality bass music that continues to turn heads. With no signs of slowing down, Effin proves with each release that he is a must-watch artist.